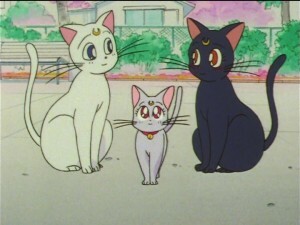 The two latest episodes of Sailor Moon SuperS, episodes 134 and 135, have been added to Hulu and Neon Alley this morning. 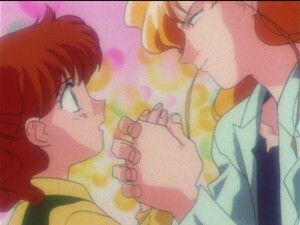 This week we get a couple of episodes focusing on some artists first as Makoto’s friend writes a novel about Pegasus and next as Chibiusa deals with a teacher who’s lost her groove. 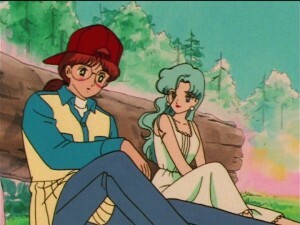 Episode 134, Makoto’s Friendship: The Girl Who Admired Pegasus, has the Sailor Guardians excited about a new book release by a local writer. 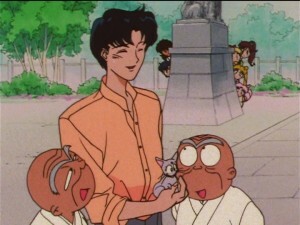 As the gang are ready to get autographs we once again see that Rei takes her autographs seriously, bringing three copies of the book to get signed. 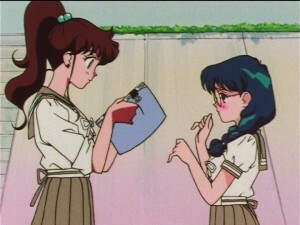 We previously learned about this obsession way back in episode 21 when she brought a bunch of autograph paper to the animation studio working on the Sailor V movie. 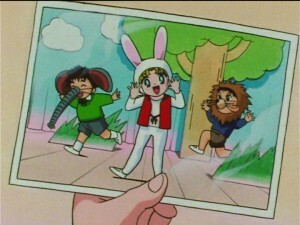 The book, which is all about Pegasus, was written by author Tomoko Takase who turns out to be Makoto’s friend. 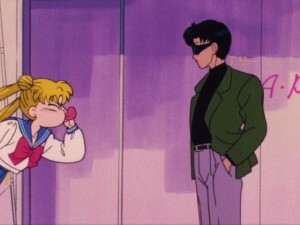 Who knew the Sailor Guardians had friends who weren’t each other? 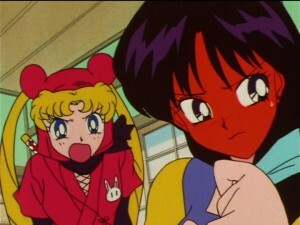 The girls have always been presented as having been lonely prior to encountering Usagi. In a flashback we see that Makoto and Tomoko befriended each other while Makoto was at her old school so this is prior to us seeing her in the series. 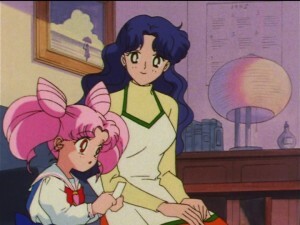 Her relationship with Tomoko began somewhat like her relationship with Usagi had, as she help protect her from a bunch of bullies, which leads her to read the story she’s writing. 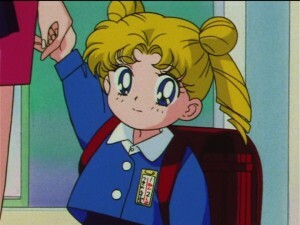 I guess Makoto didn’t remember having dreamed of Pegasus as a child at this point, something we later learn all of the Sailor Guardians did but mostly forgot. 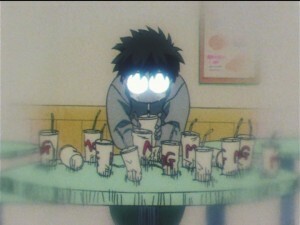 Tomoko has lost her motivation after seeing a boy she likes with a girlfriend. 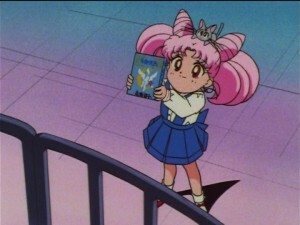 Chibiusa is shocked at the book, as it’s all about Pegasus who comes and fights with her and sometimes shows up by her bedside, and tells Tomoko about it. Tomoko is targeted and in the ensuing fight sees Pegasus which helps her get her groove back. 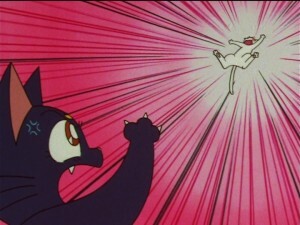 Episode 135, Connecting Hearts: Chibi-Usa and Pegasus, is not the most feminist episode. 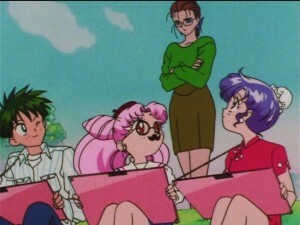 Chibiusa and her friends are painting in a park, and Chibiusa is all about doing crazy crap. 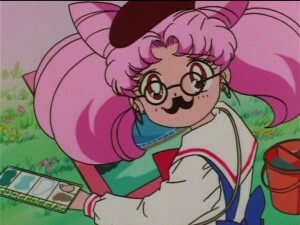 She has a moustache, because she thinks artists should have moustaches, which doesn’t say much for female artists! She also draws Pegasus into the landscape because she’s a free thinking hippie who can’t follow the assignment. Her teacher, Morino Sensei, is not happy about this one bit and threatens to fail her for it. 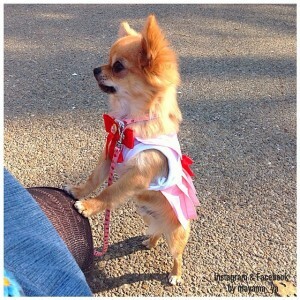 Kyuusuke gives Morino a bit of trouble mocking her singleness and blaming her stubbornness for not having a man. Harsh criticism from a little runt. 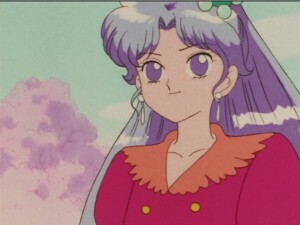 Momoko also appears here and we see that her hair colour has somehow changed from a natural brown to a less normal looking purple. She still has normal looking hair when compared to her friend! 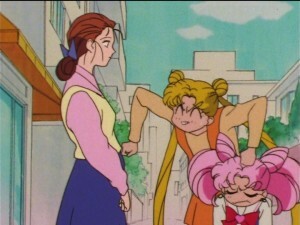 When Usagi and Chibiusa run into Morino this triggers and unusual parental reaction in Usagi, who otherwise usually does no such thing. This whole exchange is quite humorous. 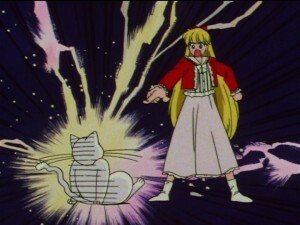 Ultimately Morino is targeted by Tiger’s Eye, which would make her his oldest target to date. 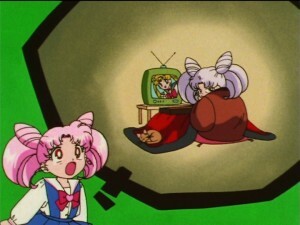 In the final scene of the episode we get a sort of weird scene in which Chibiusa changes in front of Pegasus which makes him blush, insinuating there is some sort of attraction there not typical of a human/horse relationship. There seems to be more to this winged horse than meets the eye! 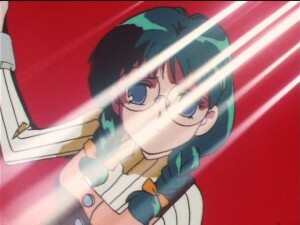 Sailor Moon Crystal director Munehisa Sakai has completed his work on the series. Is anyone taking his place? 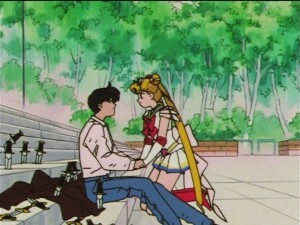 Munehisa Sakai, the director of Sailor Moon Crystal, has ceased working on the series. He mentioned this in a tweet yesterday. 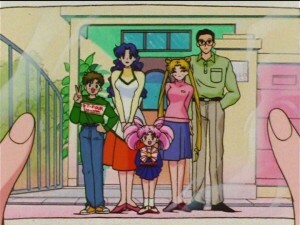 The tweet, in Japanese, thanks all of the staff for their hard work and says that his work on Sailor Moon Crystal is complete. 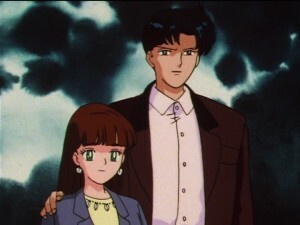 As director of the series he is ultimately the person who is most responsible for how the show came together and the final product we saw, so if you liked Sailor Moon Crystal, you liked his work. 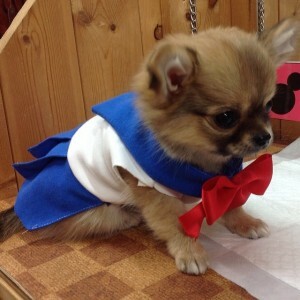 Now we must wonder if this is a sign that Sailor Moon Crystal is truly over. 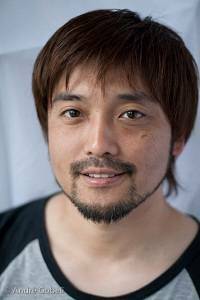 It seems that he is not staying on as director for any additional episodes of Sailor Moon Crystal, but is anyone taking his place? If so, this new show may be quite different from what we’ve seen. 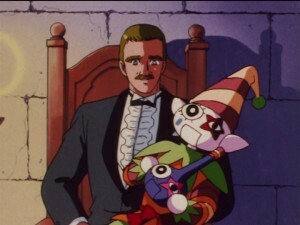 We haven’t heard anything about the series since the “À bientôt” message was left at the end of Act 26. That episode aired a month ago today, so it hasn’t been so long that we should panic after not hearing much else in this much time. 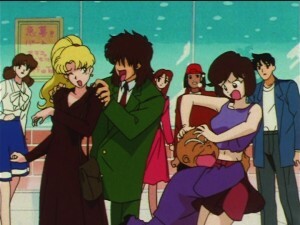 If the creative talent behind the show is moving on the other projects, this could be an indication that “À bientôt” was a reference to something other than new episodes of Sailor Moon Crystal. 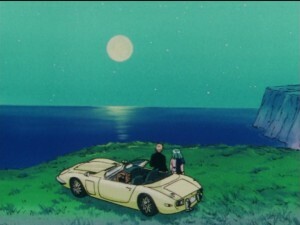 Thanks for all the good work to anyone who worked on the series that we’ve seen to date. 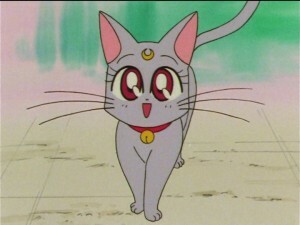 Let’s hope that there is more to come, by however may be at the helm of the Infinity arc of Sailor Moon Crystal. If you’ve been living under a rock you may not have heard that Christian Louboutin, the man who brought us extra expensive red bottom shoes, will be releasing a line of extra expensive lipstick! 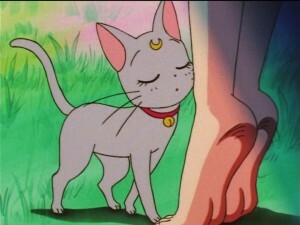 Why does this mean anything to Sailor Moon fans? 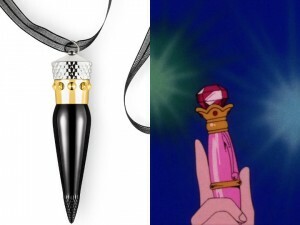 Well check out this lipstick and tell me it doesn’t look like Sailor Moon’s Disguise Pen, referred to as the Luna Pen in the English dub. 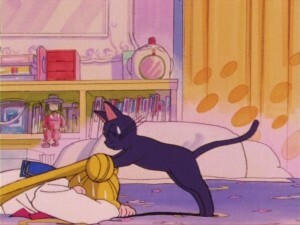 Sailor Moon receives this pen from Luna and uses it frequently to transform her appearance, which often includes putting on lipstick. 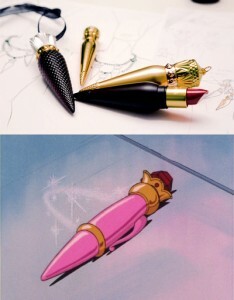 Christian Louboutin’s lipstick has a similar shape to the Disguise Pen including an ornate cap which resembles the red gem on the top of Sailor Moon’s Disguise Pen and a little gold trim which is nearly identical. What do you think? At 90$ this new ultra expensive lipstick will cost you less than a Sailor Moon Pullip doll. It comes in 20 different shades of red. Merry Christmas and a Happy New Year! 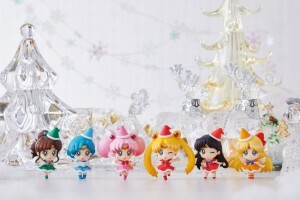 Nearly 5 months before actual Christmas Bandai enveiled these Christmas themed Sailor Moon Petit Chara figures at Wonder Festival 2015. 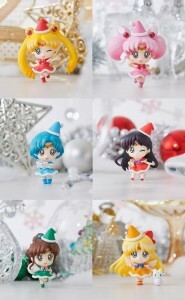 These variant figures of Sailor Moon, Mercury, Mars, Jupiter, Venus and Chibi Moon are in their Sailor Guardian forms but with Santa Claus hats and outfits matching their colours. 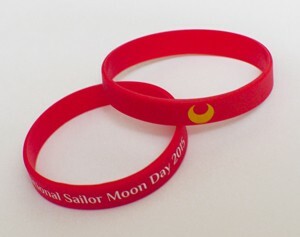 In addition many of the Sailor Guardians have a special item. 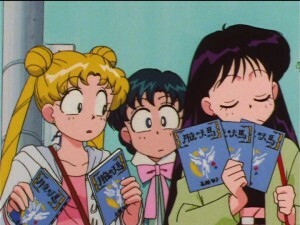 Sailor Mercury has a book of carols. 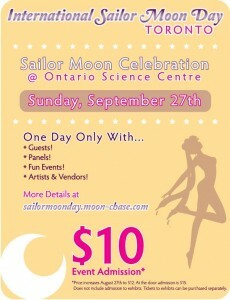 Sailor Mars is holding a candle. 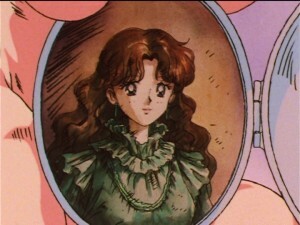 Sailor Jupiter has a bag of gifts. 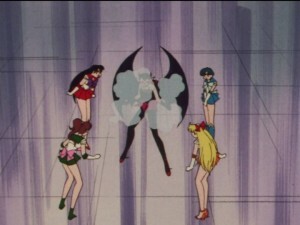 Sailor Venus has angel’s wings. 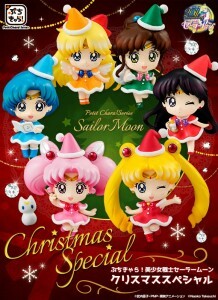 A mini Artemis which resembles a small snowman accompanies Sailor Venus, though no Luna appears to be included in this set. Why now? Why not at Christmas time? Well the toys will actually be released in November, they’re just being announced now. 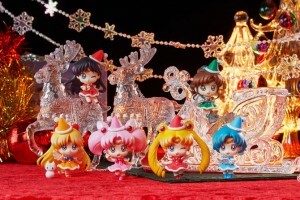 Wouldn’t these toys make great Christmas decorations? Keep reading for individual photos of the figures.